What are the best Viking games on PC? The Vikings weren’t the most diplomatic group of settlers in history. The famous seafaring hustlers made haste across Northern Europe, causing chaos wherever they docked. Their devilish deeds remain firmly stamped in our contemporary consciousness; most are familiar with the famous stories of the Edda, the seminal Medieval Icelandic literary works to which we owe much of our knowledge of these Norse brutes. Their stories are inscribed in runestones and have reverberated for centuries, long since they were first committed to rock. Most of these myths still worm their way into the media we engage with now, from Marvel Comics to Attack on Titan. Yet, video games are one of the most lucrative sources of vicarious Viking myth, putting you in the hefty shoes of the gods or the mere mortals that cowered obsequiously at the beck and call of Asgard. Viking games see us exploring the mythical underworlds of Hellblade: Senua’s Sacrifice and absorbing the souls of freshly-dispatched dragons in Skyrim. We also get to inhabit their gnarled leather shoes as we face off against, err, Samurai and Knights in the anachronistic chaos of For Honor. There’s a wide variety to ruthlessly conquer, so read if you want to loot and pillage the best Viking games on PC. Classic party-based RPGs are few and far between in the age of battle royale games, but in many ways the genre is stronger than ever thanks to recent success stories like Divinity: Original Sin, Pillars of Eternity, and Expeditions: Viking. This Viking game is a story-driven, party-based RPG that leans heavily into historical accuracy rather than fantasy. Set in 790 AD, you’re tasked with guiding your Norse chieftain on a conquest across the shores of Britannia, assembling your own clan, accumulating wealth, and surviving in a harsh new world. Along the way you’ll have to manage your clan’s campsite, explore towns for wares and to collect new quest, and a lot of battling in a turn-based combat system similar to that of Divinity: Original Sin. It’s up to you if your clan will dominate their new domain through raiding and warfare, or choose trade and politics. 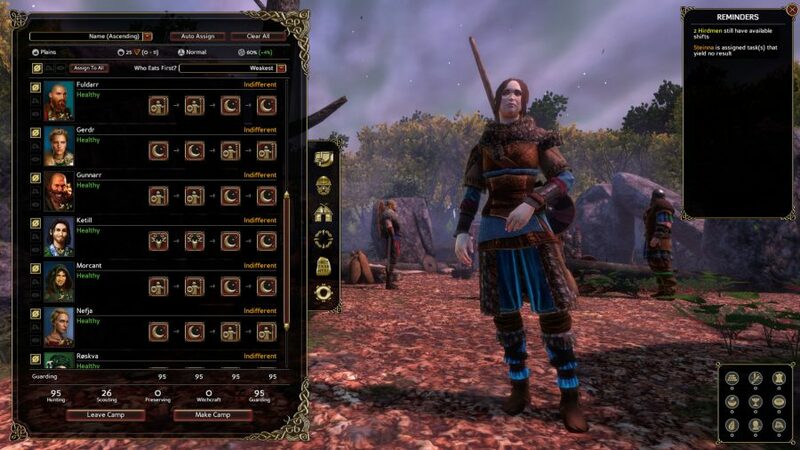 Choice is at the heart of this RPG, and right from the opening character creation screen you can expect to be overwhelmed by tough decision such as which skills to pick, how best to allocate resources, and later in the game, who you can really trust. If you’re looking for historical RPG to lose yourself in, this is one of the best Viking games available. 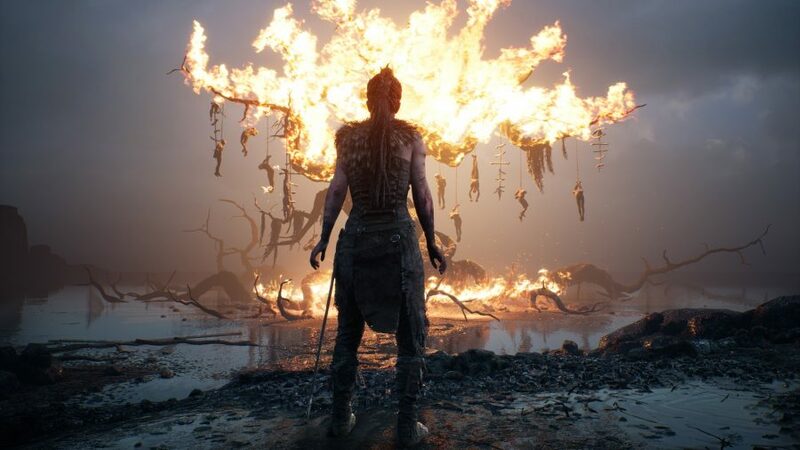 Ninja Theory’s 2017 smash hit Hellblade is certainly one of the most important Norse games on PC. 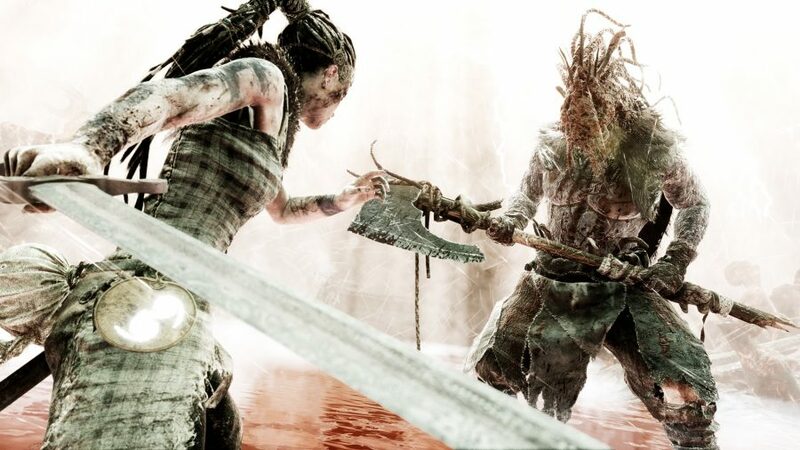 Set against a backdrop of Viking mythology, the game follows Senua, a tortured Pict wrestling with her own psychosis as she travels deep into the dark Norse underworld of Helheim to redeem her husband’s lost soul. This Viking game hasn’t only been lauded for its challenging combat and arresting story, but also for its thoroughly modern depiction of mental health. Developer Ninja Theory worked closely with scientists and mental health experts to realistically convey Senua’s psychosis. The result is a disturbing binaural experience where the many voices that torment Senua’s troubled mind taunt the player while questioning her abilities. We recommend you wear headphones to feel the full, deeply-affecting experience. Even better, a post-launch update ensured that Hellblade became one of the most sensitive VR games you can play. 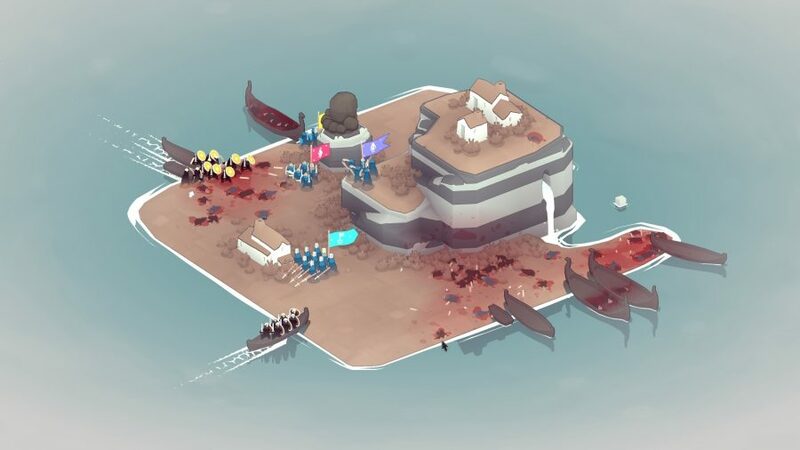 A fascinating strategy game that quickly became a viral hit thanks to its charming aesthetic and beguiling gameplay, Bad North is a real-time tactics title that’s easy to start but tough to master. This is one of the reasons why it’s one of our favourite games of 2018. Each minimalistic level takes place on one small landlocked island, forcing you to think about how to capitalise on its randomised architecture with your defending units. Its clean, simple presentation makes it look easy, when in fact it’s anything but. The alluring medieval art style is complemented by its endearing sound effects and score. Bad North’s laid-back atmosphere belies the serious challenges at its inviting heart. If you’re the type who is nauseated by complex RTS menus, this is a Norse game that gives that nonsense a Viking funeral. 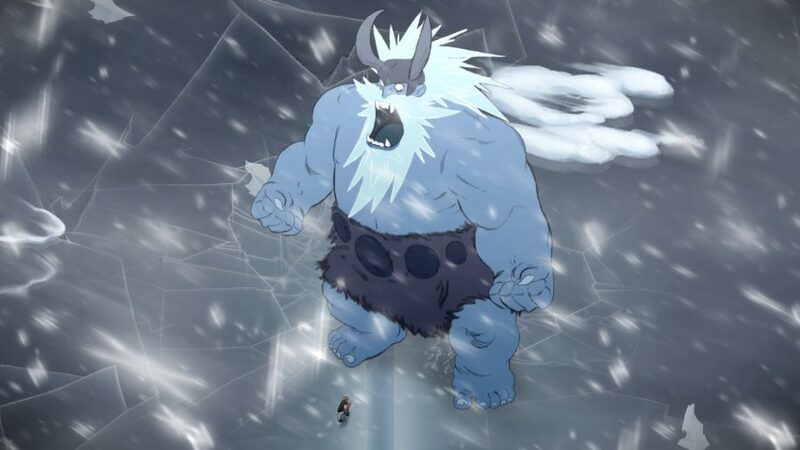 Jotun is an indie game that centres on the protagonist Thora, who, as Norse mythology lovers will know, dies a dishonourable death in a storm and is therefore denied access to Valhalla. Yet, the gods take pity on her and offer a second chance – as long as she pounds on a series of elemental Jotun (see what they did there?). The trouble is, that’s easier said than done. These giant elementals offer a challenge. The camerawork makes you feel insignificant amid the chaos. It’s a David vs Goliath and packed full of action. Combat is basic but sound, and there are plenty of puzzles and collectibles to keep your mind ticking over as you trudge through each treacherous, but beautifully-drawn biome. A delightful little jaunt that turns out to be no pushover, Jotun is the Viking game for you if you want a brief but difficult detour into Norse mythology. 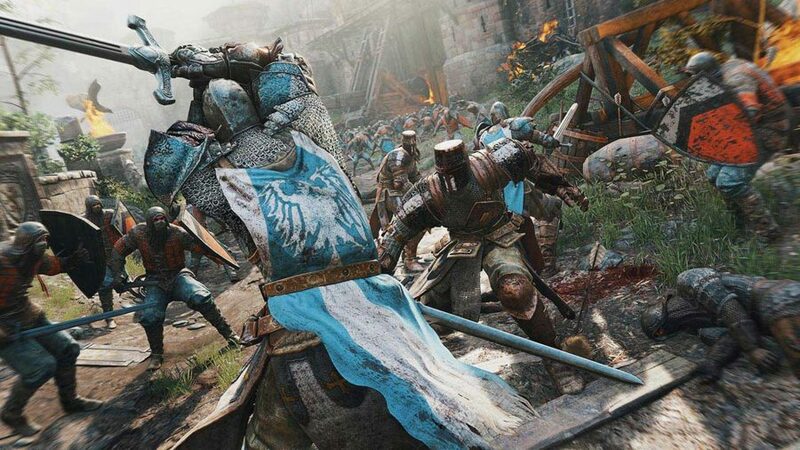 Ubisoft’s 2017 third-person historical brawler For Honor offers up fantasy matchups between Vikings and the other famous warriors of history, namely Samurai, Knights, and Wu Lin. It’s an adrenaline-pumping fighting game, offering the scale and scope of large engagements as well as tense one-on-one duels. There is a plot line bubbling in the background, but this falls to the wayside in place of the crunchy combat, as you raze battlegrounds in an attempt to establish faction dominance. It’s a ‘what if’ game that realises the action-figure fantasy of different actors in history taking up arms against each other. The game is currently entering a third year of add-on content known as the “Year of the Harbinger,” complete with balance changes, new maps and heroes to use, including a new Viking. Well worth a punt if you watch a lot of Deadliest Warrior and reckon you could do better. 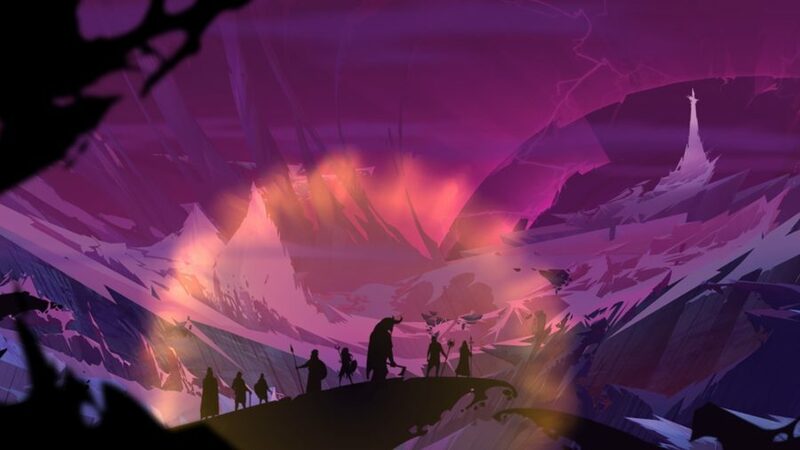 A stunning trilogy of role-playing games developed by the talented Stoic Studio, The Banner Saga is set in a Norse-inspired world where you have to defend a Viking caravan against the vicious and mysterious humanoid antagonists, the Dredge. Basked in twilight, the hand-drawn art style is gorgeous, turning every frame of battle into a rich tapestry. The story will change drastically based on your choices, and really opens up into an engaging tale where struggles like feeding your campmates and preparing for battle take precedent above all else. 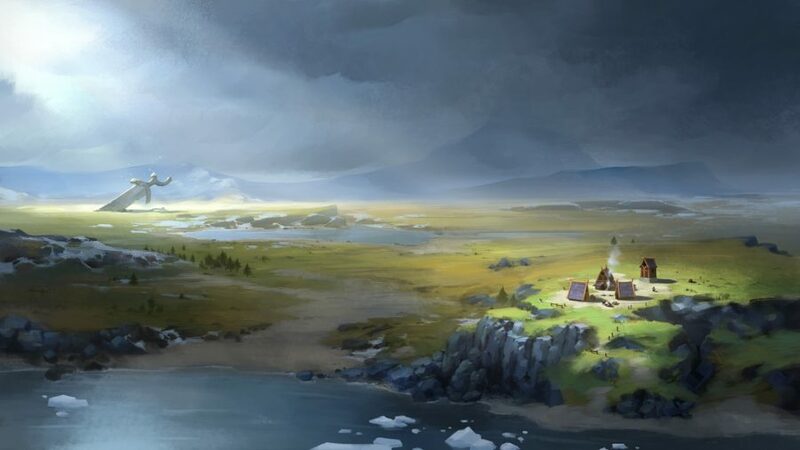 Composed by Austin Wintory, the Grammy-nominated composer of Journey and Abzu, the soundtrack is beautiful and moving, wrapping up the epic adventure in a wonderful sonic blanket, and making this an unmissable Viking game experience for any fan of fantasy and tactics. 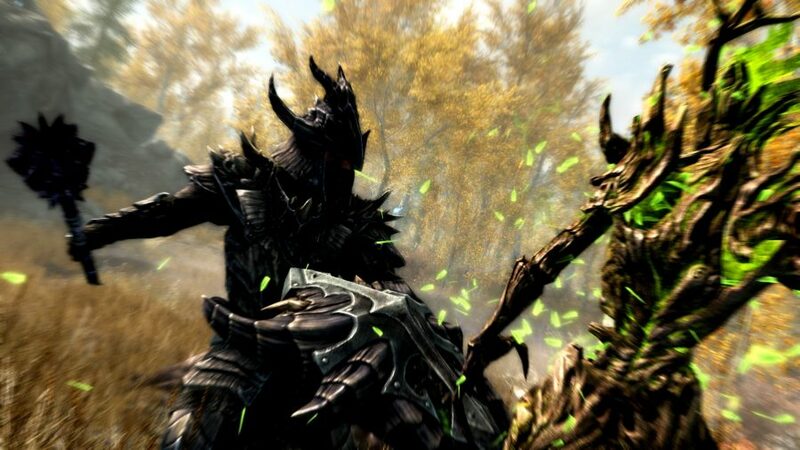 Its provenance speaks for itself, but Skyrim is easily the most Norse of all of The Elder Scrolls games, placing you in the capable shoes of the Dragonborn, a prophesied hero who can absorb dragon souls and expel powerful shouts that rupture their enemies. You travel around a massive Icelandic-inspired world that offers up such sights as the perilous Throat of the World to Valhalla itself (which goes by Sovngarde in Elder Scrolls lore). Solve a civil war, fight vampires, or just set up a homestead and raise a family. Despite being nearly a decade old, Skyrim still has a lot to offer to players who fancy a bit of Viking roleplaying. If you’re looking for a deeper Norse experience you can tinker with the plentiful Skyrim mods available for the game, which offer up longboats, authentic Viking weapons and outfits, and much more if you’re willing to seek it out. Nowadays you can even experience Skyrim as a VR game if you want to double down on the authenticity. A wonderful blast from the past, Volgarr the Viking is a challenging 80s side-scroller with a brilliant 16-bit pixel art style. It is evocative of stalwart series like Castlevania, where you do everything in your power to get to the other end of the screen, no matter how hard your enemies (or the environment itself) is trying to throw a Mjolnir in the works. With multiple endings and seven worlds to falter through, there’s a lot of bang for your buck here, and you’re certainly not going to breeze through it in record time either. Volgarr is hard as nails, and proud of it. Luckily it’s not overly long, and is well worth a playthrough if you’re pining for a game that refuses to hold your hand -it makes Dark Souls feel like a walk in the park. 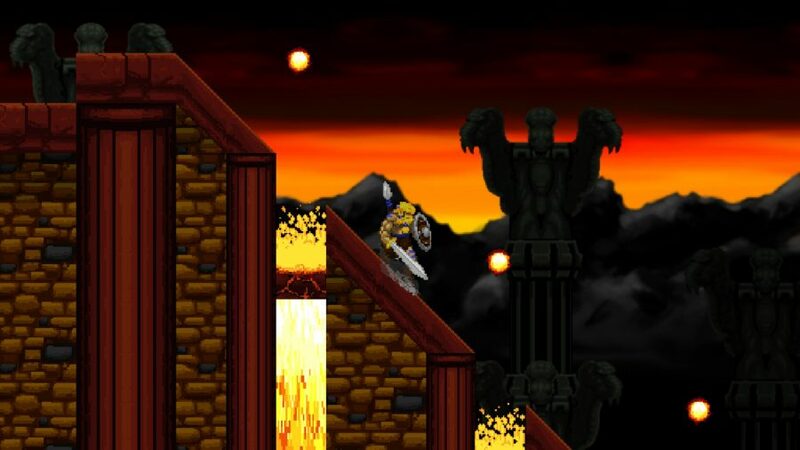 If you can stomach a bit of gaming masochism, then Volgarr the Viking should be right up your street. If the simplistic design of Bad North is too laid-back for your tastes, Northgard should provide a welcome challenge and a good bit of layered complexity if you’re in the market for it. This is an old-school RTS with a dash of modern flair, and it stands shoulder to shoulder with the storied historical strategy games of the 90s and early 00s. With a variety of different clans to choose from that offer up unique benefits, whether that’s a special unit like a war bear or being able to colonise with money. You can also win in a variety of ways, with some Viking-themed special win conditions such as being the first to forge Odin’s Sword or discovering and taking control of Yggdrasil. It even has competitive multiplayer and a solid story mode, which, gives the player something to connect with as they manage resources, fight beasts, and forge a new beginning for your unruly band of Norse settlers. 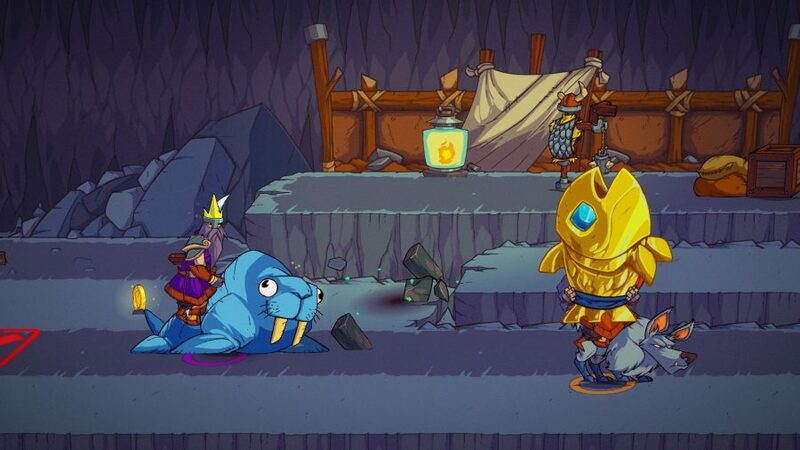 Easily the most on the nose and in your face game of the pack, Viking Squad is a co-operative side-scrolling brawler that mixes Norse mythology with silly Castle Crashers gameplay and is just as fun as that sounds. Viking Squad’s roguelite progression mechanics are its best feature, forcing you to spend your hard-earned loot following a triumphant charge through a level to bolster your chosen character’s abilities and gear. It embraces the chaos of the genre and offers up a visually pleasing (and most importantly, legible) art style, meaning you’re not so overwhelmed by all of the action when the going gets tough. Just make sure you’ve got a group of keen friends to play it with, as the repetition and difficulty will bear down on you hard if you try to soldier through solo. Luckily for any fan of Vikings, the Norse gods are one of the most developed pantheons in the game, offering up fan favourites like Loki and Thor as well as the more obscure heroes of mythology like Ullr and Ratatoskr. In most cases their design and abilities are often true to the lore and fun to master when you start to get bored of a particular character. This 2014 MOBA is still being supported by developer Hi-Rez and stands out among its competitors thanks to its shift in perspective, switching from the favoured top-down angle to a much more engaging third-person perspective. 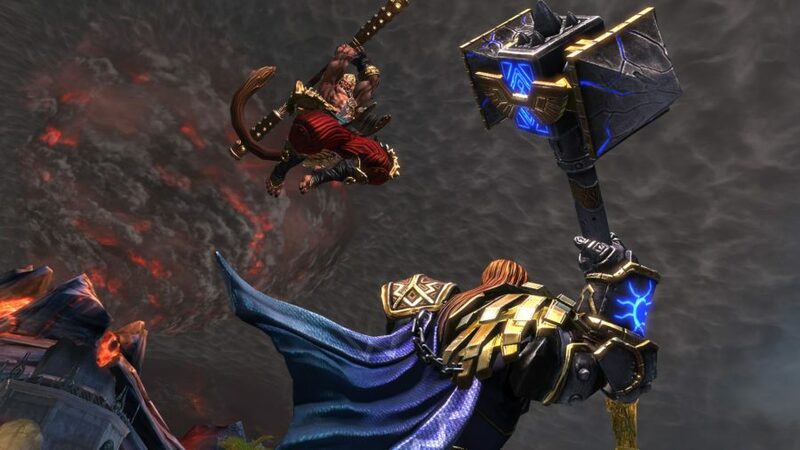 Smite offers up action-packed combat that feels frantic and exciting, and with a multitude of interesting game modes that flip the switch on conventional lane matchups. So if you’re sick of more complex MOBA’s like Dota 2 or League of Legends and fancy something with a Norse spin then Smite may be for you. So there you have it! Ten of the best Viking games for your PC perusal. Whether you want to step into the gilded shoes of Norse gods or the frayed sandals of mere mortals, this list has something for everyone. It’s delightful to see such a span of genres when it comes to this topic too, especially when the developers have twisted the lore and iconography of the famous settlers into something special. Just pack a parka, as most of these games sound pretty chilly.